Just a few minutes driving distance away from Taitung City in Beinan Town of southeast Taiwan, Jhihben is a small town gifted with precious hot spring resource. Since the Japanese colonial period, it has attracted numerous local and oversea travelers for enjoying a great hot spring bath. Visitors may still find some Japanese style bathhouses and outdoor hot spring pools that are built during the Japanese colonial period. 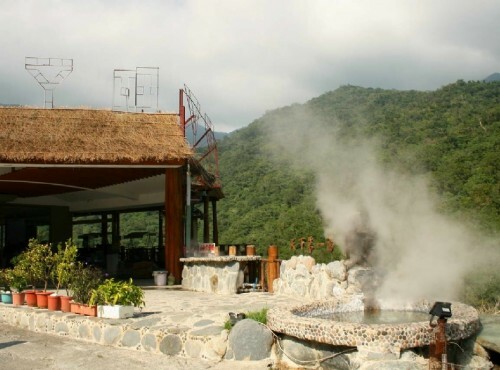 Many hot spring resort and hotels are also available in Jhihben for a relaxing hot spring bath surrounded by wonderfully green and dizzying mountains. Being one of the most famous Taiwan hot springs, Jhihben Hot Spring originally came from Jhihben Stream found by the Beinan Tribe. Jhihben Hot Springs are alkali carbonate springs with the water clear and odorless and temperature ranging from 45 to 56 degrees Celsius. Jhihben is enriched with natural landscapes and ecological environments thus entitled “Butterfly Valley” for having a wide array of butterflies in old days. Today, other than taking hot spring baths and explore the nature beauties of Jhihben, visitors are recommended to try different aboriginal delicacies provided Beinan, Paiwan, and Rukai tribes.